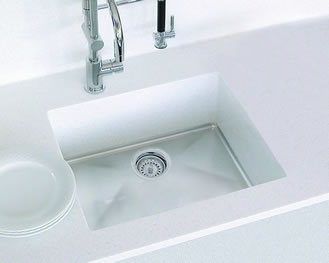 Corian is a world renowned product, with its clean lines and joint free appearance, it’s versatility makes it an ideal worktop solution. 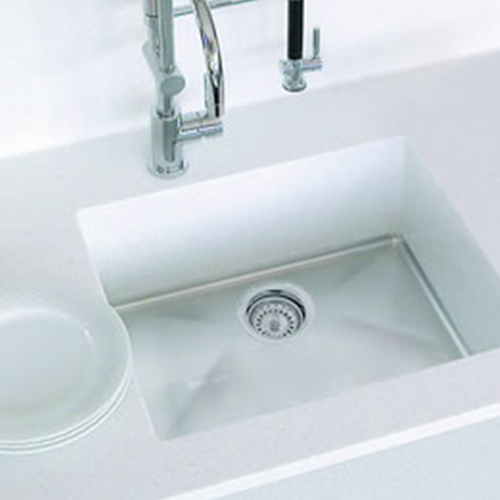 Corian worktops are used throughout all industries from exterior cladding to interior design. It’s non-toxic composition does not support the growth of germs, fungi and mould, making it an ideal choice for healthcare applications. We manufacture Corian Worktops in Leicester, however we generally provide our services within a 100 miles of our factory. We are situated in East Goscote between Nottingham and Leicester. 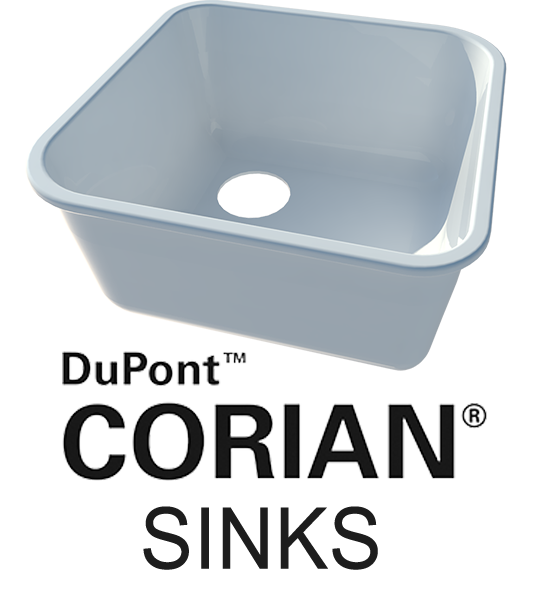 Corian comes with over 80 colours and many different sinks and bowls to choose from. Each colour has its very own unique interaction with light. 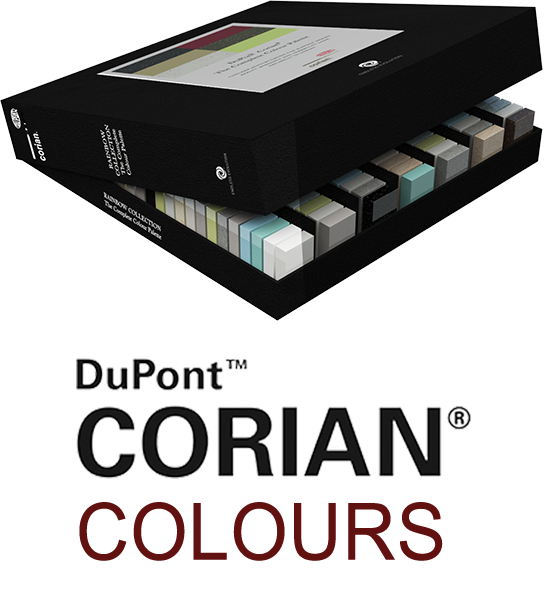 Corian is made by DuPont, who give a Ten Year Warranty if manufactured by a quality network fabricator. As quality network fabricators, you can be sure that quality is ensured no matter what. 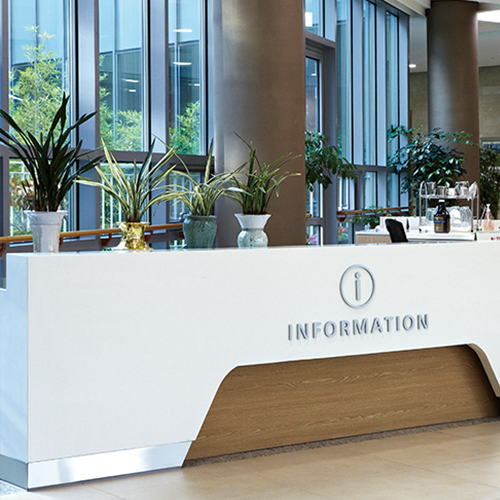 If you have a Corian project in mind, why not give us a call to discuss or visit us at our Leicester based factory. 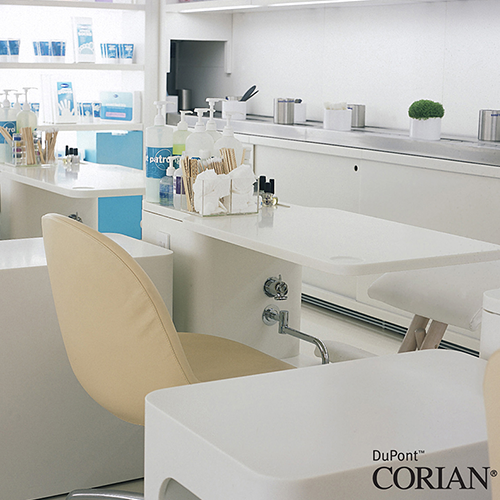 Corian DuPont are the market leaders in Solid Surface materials. 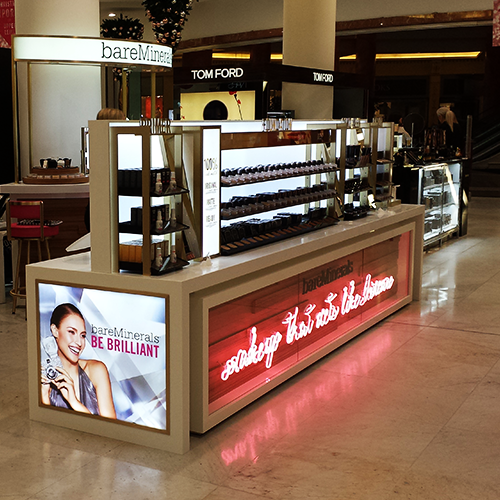 The company were the first in the industry to supply Solid Surface, and continue to be a major player in the industry. 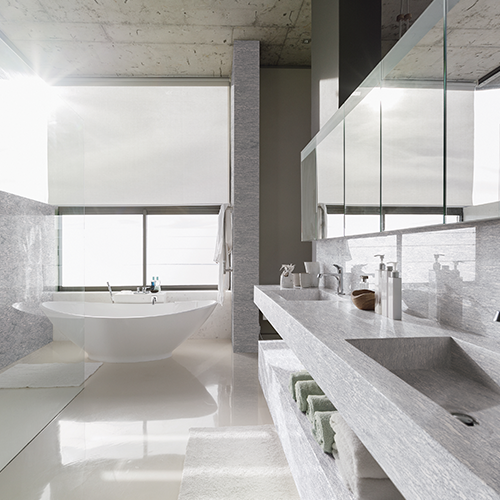 Commonly used for kitchen and bathrooms, Corians seamless appeal has attracted global recognition for their bespoke countertops.